The winter time here in Florida is widely regarded as the best time to catch that monster bass that you’ve been looking for, and it without a doubt is. More bass over 10-pounds are caught on Orlando’s Lake Toho in the winter time than any other time of year. 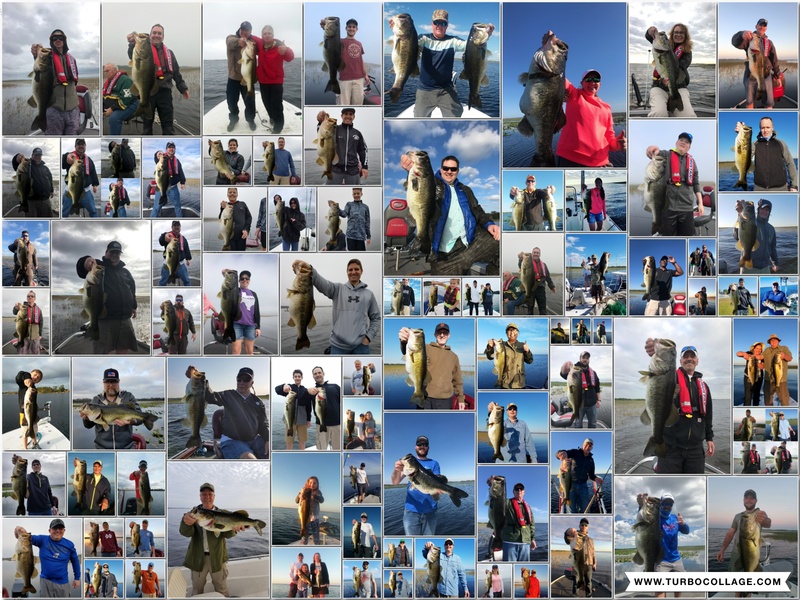 The picture above showcases just some of the trophy bass that we caught last January, February, and March. And I don’t doubt that we’ll beat that number this year. Last year we had some unstable weather with hurricane Irma hitting us in the fall. This year the weather has been a lot more stable (aside from a few normal cold fronts) and that should make for some truly magnificent bass fishing this winter on Florida’s Lake Toho. Why are the winter months the best time for catching trophy bass here in Florida? It’s because this is when these bass spawn. It starts in late December and ends in April. Big females filled with eggs begin to move up into spawning flats to drop their eggs and reproduce which is called spawning. These egg filled female bass weigh an average of 1-2 pounds more and are looking for a big meal before going up to spawn and then again after spawning. With these fish having other things on there mind at this time of year it makes them more susceptible to being caught. Trying the catch these fish while they’re spawning can be very difficult. The best way to catch these bass is in pre-spawn staging area’s where these Florida fish sit and feed before heading up shallower to spawn. You can catch good numbers out of these area’s along with having a good chance at catching a truly giant Lake Toho bass. If you’ve had a warming trend where things are warming back up, artificial lures can produce good fish. I’ll go more into what lures to use in another blog. But your best bet is always to use wild golden shiners for catching both the giant bass and numbers. Those things are like candy to them and they definitely let you get the most out of your day. The winter time is also our busiest time of year here on Lake Toho. 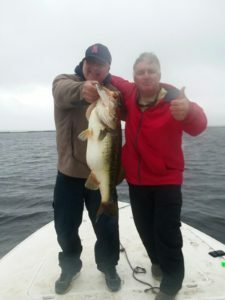 Reservations should be made as far in advance as possible to be assured that we have one of our captains available for you on the date that you want to go on your trophy Lake Toho bass fishing trip. Give us a call at 407-288-9670 or email us at ajsbassguides@orlandobass.com and we’ll be glad to get you out and help you get your trophy bass of a lifetime. Good morning. It won’t be long and I’ll be there to see you folks for some fishing. Dec. 11th and 13th. I’ll look forward to it.